In an environment of poverty, injustice and lack of political will for reform, Boko Haram’s growing strength and dissemination is increasingly putting local and regional stability at risk. In its latest report, ‘Curbing Violence in Nigeria (II): The Boko Haram Insurgency’, the International Crisis Group examines the emergence, rise and evolution of a movement whose four-year insurgency has killed thousands, displaced close to a million, destroyed public infrastructure and weakened the country’s already poor economy, particularly in the North East. The government’s failure to provide security and basic services makes poor youth, in particular, an easy recruitment target for anti-state militias. As Boko Haram’s network expands into Cameroon and Niger, a military response is not enough. Only deep political and socio-economic reform can ease the injustices that fuel the insurgency. Boko Haram’s evolution since 2002 is strongly linked to failed governance, economic hardship, rising social inequality, corruption and impunity. Most Nigerians are poorer today than at independence in 1960. Poverty is most dire in the north, where Boko Haram, the latest of many northern fundamentalist movements, has tapped into Muslim revivalism and hopes to establish an Islamic state. Since 2010, the group’s campaign has grown, targeting not only security forces and politicians, but also civilians, traditional and religious leaders, public institutions, the UN presence and schools. It is more dispersed than ever, with many leaders in Cameroon and Niger, both of which are poorly equipped to address an armed Islamist threat. Boko Haram’s leader, Abubakar Shekau, seems to have little control over its factions, including Ansaru, which focuses on foreign targets. Insecurity in much of the north may also worsen political violence and undermine the credibility of the 2015 elections, further damaging government legitimacy. Federal and state governments must end impunity by prosecuting crimes by security services, government officials and Boko Haram members alike, and urgently develop and implement a socio-economic intervention program for the North East region. Civic education to halt politicisation of religions, effective development and anti-corruption efforts, and police who are seen as partners to citizens are all vital. “Boko Haram’s insurgency is tapping into governance, corruption, impunity and underdevelopment grievances shared by most people in the region”, says EJ Hogendoorn – Deputy Africa Program Director. 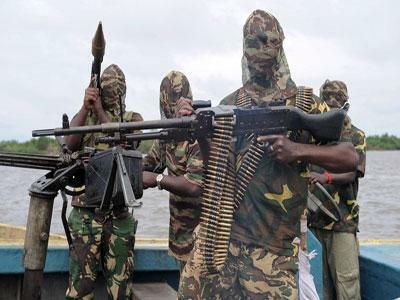 “It’s a serious challenge and a manifestation of more profound threats to Nigeria’s security. Yet, the government’s response is largely military”. “Radical reform of governance and political culture is a big agenda, one some Nigerian elites have not yet demonstrated they have the will to address”, says Comfort Ero – Africa Program Director. “But if they do not, Boko Haram, or groups like it, will continue to destabilise large parts of the country”. Boko Haram’s four-year-old insurgency has pitted neighbour against neighbour, cost more than 4,000 lives, displaced close to half a million, destroyed hundreds of schools and government buildings and devastated an already ravaged economy in the North East, one of Nigeria’s poorest regions. It overstretches federal security services, with no end in sight, spills over to other parts of the north and risks reaching Niger and Cameroon, weak countries poorly equipped to combat a radical Islamist armed group tapping into real governance, corruption, impunity and underdevelopment grievances shared by most people in the region. 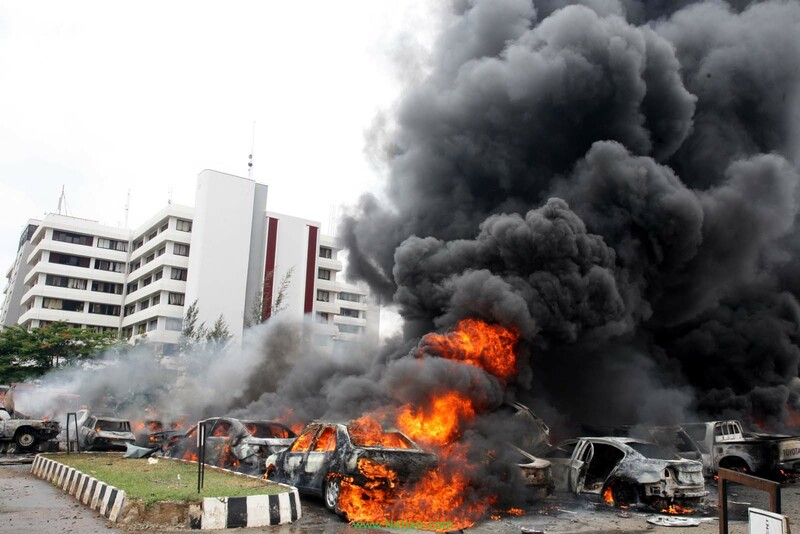 Boko Haram is both a serious challenge and manifestation of more profound threats to Nigeria’s security. Unless the federal and state governments, and the region, develop and implement comprehensive plans to tackle not only insecurity but also the injustices that drive much of the troubles, Boko Haram, or groups like it, will continue to destabilise large parts of the country. Yet, the government’s response is largely military, and political will to do more than that appears entirely lacking. Most Nigerians are poorer today than they were at independence in 1960, victims of the resource curse and rampant, entrenched corruption. Agriculture, once the economy’s mainstay, is struggling. In many parts of the country, the government is unable to provide security, good roads, water, health, reliable power and education. The situation is particularly dire in the far north. Frustration and alienation drive many to join “self-help” ethnic, religious, community or civic groups, some of which are hostile to the state. It is in this environment that the group called Boko Haram (usually translated loosely as “Western education is forbidden”) by outsiders emerged. It is an Islamic sect that believes corrupt, false Muslims control northern Nigeria. The group and fellow travellers want to remedy this by establishing an Islamic state in the north with strict adherence to Sharia (Islamic law). 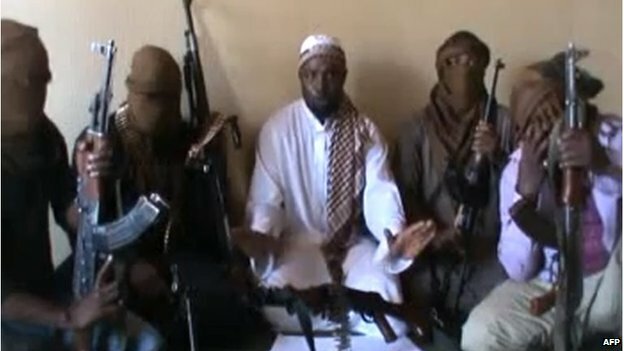 Boko Haram’s early leader, the charismatic preacher Mohammed Yusuf, tried to do so non-violently. While accounts are disputed, the narrative put forward by Boko Haram and now dominant in the region is that around 2002, Yusuf was co-opted by the then Borno state gubernatorial candidate, Ali Modu Sheriff, for the support of his large youth movement, in exchange for full implementation of Sharia and promises of senior state government positions for his followers in the event of an electoral victory. Sheriff denies any such arrangement or involvement with the sect. As the group rose to greater prominence, the state religious commissioner was accused of providing resources to Yusuf, while the government never implemented full Sharia. Yusuf subsequently became increasingly critical of the government and official corruption, his popularity soared, and the group expanded into other states, including Bauchi, Yobe and Kano. “After the politicians created the monster”, a senior security officer commented, “they lost control of it”. The State Security Services (SSS) arrested and interrogated Yusuf a number of times, but he was never prosecuted, reportedly because of the intervention of influential officials. He also was said to receive funds from external Salafi contacts, including Osama bin Laden that he used to fund a micro-credit scheme for his followers and give welfare, food and shelter to refugees and unemployed youth. 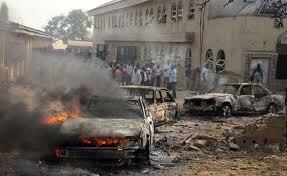 A series of clashes between Boko Haram members and police escalated into an armed insurrection in 2009. Troops crushed the rebellion, killing hundreds of followers and destroying the group’s principal mosque. Yusuf was captured, handed over to the police and shortly thereafter extra-judicially executed. Boko Haram went underground and a year later launched attacks on police officers, police stations and military barracks, explicitly in revenge for the killings of Yusuf and his comrades. Its spokesman demanded prosecution of those responsible, release of their detained colleagues, restoration of the mosque and compensation for sect members killed by troops. Since 2010, the group’s campaign has grown, targeting not only security forces, government officials and politicians, but also Christians, critical Muslim clerics, traditional leaders, the UN presence, bars and schools. Lately it has evolved into pure terrorism, with targeting of students attending secular state schools, health workers involved in polio vaccination campaigns and villages supporting the government. In May 2013, President Goodluck Jonathan declared an emergency in Borno, Yobe and Adamawa states and deployed additional troops that with the help of vigilantes drove Boko Haram from most cities and towns. He also established a committee to negotiate a settlement with its leadership, with little success. On 18 March 2014, National Security Advisor Mohammed Sambo Dasuki announced a “soft” approach to addressing the root causes of terrorism, but it remains to be seen whether and how it will be implemented. The movement, never very hierarchical, is more dispersed than ever, with many leaders in the Adamawa mountains, Cameroon, and Niger. 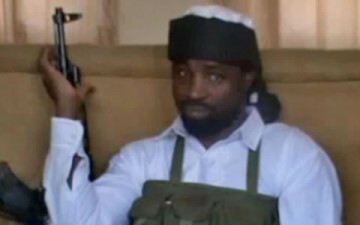 Its isolated leader, the violent Abubakar Shekau, probably has little daily control over cells, and it is fragmenting into factions, including the relatively sophisticated Ansaru, which focuses more on foreign targets. Able to move fairly freely, these groups are unlikely ever to be completely suppressed, unless the government wins local hearts and minds by implementing fundamental political reforms to address bad governance, corruption and underdevelopment. 1. Discontinue heavy-handed military and police methods that risk pushing yet more restless, jobless and frustrated youths into violence and extremism. 2. Begin to address impunity (and a main Boko Haram demand) by completing prosecution of the police officers alleged to have extrajudicially executed Mohammed Yusuf; and investigate and prosecute crimes allegedly committed by the security services, government officials (state and federal) and Boko Haram members. 3. Work with northern political, traditional and religious elites to disarm, deradicalise and re-integrate Islamist militants. 4. Continue to build bi- and multinational security ties and networks in the region. 5. Intensify mixed patrols at Nigeria’s borders to curtail the movement of armed groups and criminals. 6. Share and exchange intelligence information on a more regular basis. 7. Encourage the federal government to work with northern political, traditional and religious elites toward a political solution to the Boko Haram problem. 8. Recognise that unless issues of bad governance and systemic corruption are addressed vigorously and transparently, all other measures will be nothing but stop-gaps. 9. Free up the necessary national resources to address sustained economic hardship, rising inequality and social frustration by expanding and strengthening the anti-corruption agencies, and ensure they work effectively at state and local levels, free of political manipulation. 10. Begin to tackle the root causes of growing radical Islamic and ethnic militancy by fully developing and implementing a Far North Development Commission, similar to the Niger Delta Development Commission, with a mandate that includes coordinating anti-desertification campaigns, developing large-scale irrigation, agriculture, power and road projects and promoting small businesses that could create jobs for youths; and do so in a transparent, consultative and accountable manner. 11. Take steps to change the climate of secrecy and fear around radical Islam by encouraging greater public discussion on the causes of and ways to address radicalism. 12. Accredit senior ambassadors and defence attachés to all neighbouring countries and meet with them frequently to review the domestic and transnational security situations. 13. Reform the Quranic educational system by introducing a dual curriculum (as in Kano) and paying teachers’ salaries so as to relieve pupils of the need to beg for their upkeep. 14. Use the Northern Governors’ Forum to set high standards of transparent and accountable state governance. 15. Support programs at all levels of government that address poverty, youth unemployment and women’s lack of empowerment. 16. Encourage and support the federal government to genuinely implement a national policy of zero tolerance for corruption.